“What is the easiest way to remove thousands of duplicate songs in iTunes?” This question has been asked on quora.com as well as many other blogs and forums. It is a common problem most iDevice users face. iTunes is known to have such problems and most users are looking for ways to tackle this issue. This article will help you to remove duplicate songs in iTunes. You can remove duplicate songs by using iTunes itself. iTunes 12 and later versions have built-in feature called ‘Find Duplicates’ that you will need to use. Step 1: First, make sure you have the latest version of iTunes installed on your computer. Step 2: Launch iTunes and click on View tab. Step 3: Now choose Show Duplicate Items option from the list. Step 4: Once you click on that option, iTunes will start scanning for duplicate tracks and then automatically filter the content and display duplicates in the library. Step 5: From the list shown, you can select the tracks and easily delete them. Step 6: If you have remix tracks (in addition to the original versions) in your iTunes library, then there is a chance that iTunes will filter it as duplicates. Therefore, it is recommended that you view the list of duplicates carefully and make sure you don’t delete those remixes. This method may not work well if you have tracks and albums in your library that are named improperly. The problem may also occur if you have non-purchased music in your library. Although you can remove iTunes duplicates by using the built-in ‘Find Duplicates’ feature of iTunes, it is easier to simply prevent iTunes from importing duplicated music in the first place. Step 1: Launch iTunes and navigate to Preferences>Advanced. 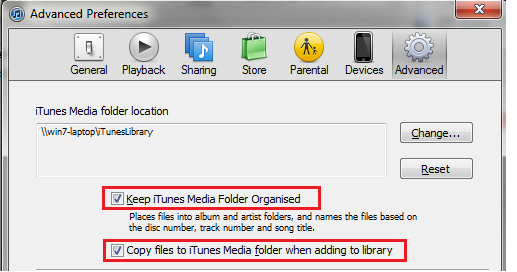 Step 2: There, you will see two options ‘Copy files to iTunes Media folder when adding to library’ and ‘Keep iTunes Media folder organized’. Check both of these options. Step 3: Now save your settings by clicking on the Reset Warning option. The import of duplicated music will be disabled once you have performed the above mentioned steps. Then, you won’t face the problem to remove duplicates in iTunes. Although there is the way to remove duplicate songs in iTunes, you can simply transfer your music to iTunes without duplicates by using a third-party file transfer tool. iMyFone TunesMate is a recommended choice in this regard. It is the ultimate file transfer tool for iOS devices that offers various features and benefits. You can use this software to transfer different types of files. You won’t need iTunes to cover your media transfer needs. Transfers only the missing files to iTunes Library, ensuring that there are no duplicates. 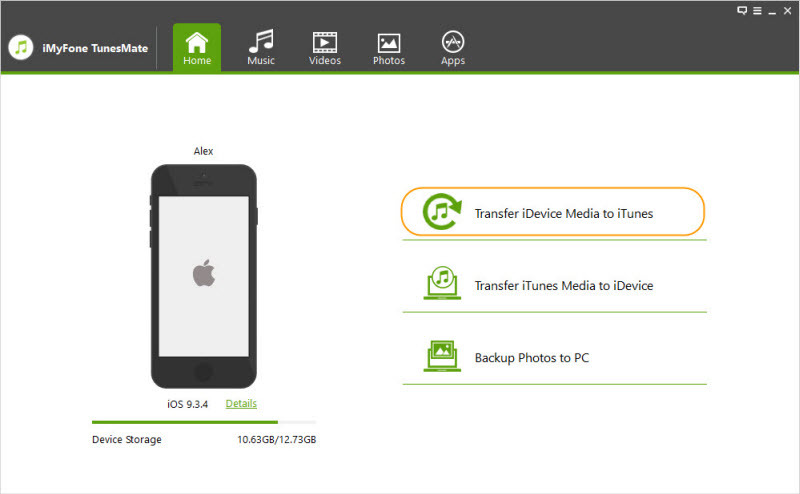 1-Click file transfer options to quickly transfer all your files (including Music) between your iDevice and PC. Two-way transfer features, allowing you to transfer media from iDevice to PC or from PC to iDevice. Sync your media files selectively. You can also preview them before transferring. Fully compatible with latest iOS devices as well as Windows platforms and highly recommended by Getintopc, Geekreply. Step 3: Select Transfer iDevice Media to iTunes option on iMyFone TunesMate. Step 4: Confirm your selection by clicking on the Start button. Step 5: iMyFone TunesMate will now scan your iTunes Library and then ask you to select the content you wish to transfer. From there, you can either select the Entire Library option or make individual selection of media types and then click on Transfer to start the process. 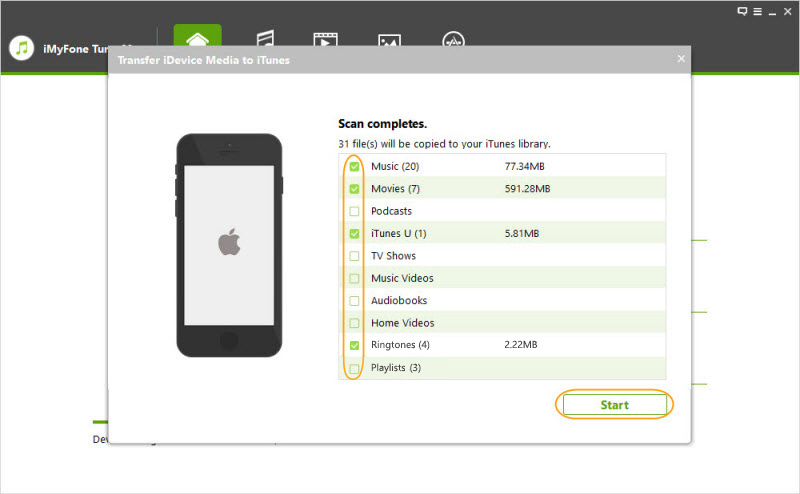 Once you perform the above steps, the media on your iDevice will start transferring to iTunes. iMyFone TunesMate will only transfer those files that are missing from your iTunes Library, so you don’t have to worry about any duplicates. You can also delete duplicate music from your iDevice without connecting it to your computer. It is recommended that you first back up your iDevice before proceeding. Step 1: Launch Settings app on your iDevice and then turn off iTunes Match option available in iTunes & App Store section. Step 2: Now navigate to General section of the Settings app and choose Usage option. Select Music and tap on Edit button available at the top right corner. Step 3: Click the red minus button available next to artists in order to delete the duplicated tracks from the list. After performing the above mentioned steps, your iDevice will be free from duplicated music.